I love holidays. Any. Of the traditional ones that is. I don’t celebrate all holidays, that would be exhausting. Today is also Submarine Day for instance. Who knew? And I don’t know that I am Irish. There may be a wee bit somewhere, my great-great grandmother’s name was Sarah Ireland. There had to be something somewhere to have a name like that. We named our oldest Kelly. Not because it was Irish, but because we liked the name and had a very nice waitress the day we were contemplating the name that waited on us. Serendipity rules again! Kelly did go to Ireland and actually did kiss the Blarney Stone. But that doesn’t make her Irish. I like the color green. But just because it’s a very nice cool, calming color. 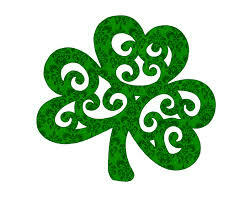 Really not because it is the color of shamrocks. And I love all things pistachio, cake, pudding, the nut itself. I love McDonald’s Shamrock shakes too. And salad. Doesn’t make me Irish. Happy St. Patrick’s Day from Donuts & Wine!